This is the question that lies at the heart of this highly debated and controversial issue, just as it is the first question that comes to all of our minds; as it should be, given the source of the warning; a formal listing in the World Health Organization’s Monograph (or as it is sometimes called; the list of all the stuff that gives us cancer) is as official as it gets. But will my cell phone give me Cancer? You ask again. Okay, let’s go straight to the point: possibly. Many people protested this answer, saying, loudly; that possibly isn’t an answer; it’s an excuse for something else. Many people restated the question with the reminder that only a YES or a NO would be acceptable and they were wrong in doing so. We were told the truth, plain and simple: it’s possible. Understanding this is a matter of understanding that the issue and the warning are not so much about Cancer as they are about RISK; the risk posed to the public’s health by cell phones; period, not just their possible carcinogenicity. A listing in the Monograph would definitely bridge the awareness gap (and it did) but it also allowed for the debate which has taken over the spotlight to be born, the “possibly” debate. It seems that the word “Cancer” simply gets stuck in everyone’s throat and no one can move past the WORD, so the debate becomes one of contesting results, feeding fears, raising speculation and, of course, money. When it comes to Cancer, the bottom line is that nothing or no one can guarantee that any human being won’t get Cancer or that they will. No one has developed a cure or a prophylactic vaccine and quite frankly, we still don’t have a basic working knowledge of the disease itself. We’ve learned that some things can be carcinogenic but that’s about it. In the case of the cell phone, the RISK doesn’t reside exclusively in the possibility of Cancer, it stems from two distinct and separate things; one which we’ve known about and the other is one that we’re only just learning about; so here it is, the simple straight truth about cell phones and our health, if you don’t read carefully, you might just miss it. The first of these two things is HEAT. 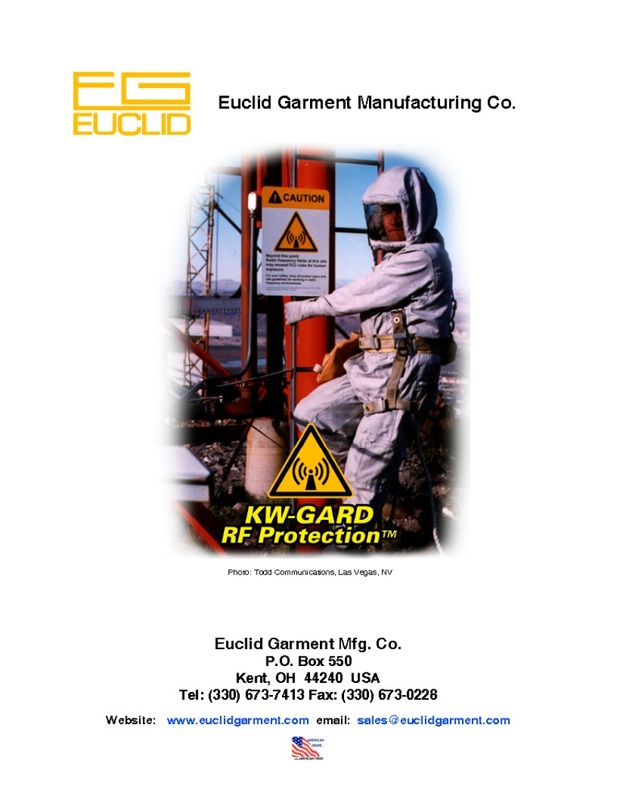 Radiofrequency electromagnetic fields (RF EMF), just like any other kind of electromagnetic field, have certain characteristics that define them. For example, they are very good conductors of signals (which is probably why our cell phone signals ride them from phone to antenna to relay to the phone that you are calling), they are produced by a combination of electricity and magnetism and they emit electromagnetic radiation. (By the way; did you know that electromagnetic radiation is the scientific term for light?) This means that your cell phone emits electromagnetic radiation. Now, if you remember 8th grade physics, you will remember than humans perceive some types of electromagnetic radiation as light and that humans perceive ALL radiation as HEAT. Now, an EMF, and in particular an RF EMF pass right through most types of matter without physically interacting with it (another reason why they are wonderful carriers of our cell phone signals). They pass right through human tissue and the vast majority of the structures that we build – if they didn’t, they would bounce off of them and cell phones would not work. The ONLY part of the RF EMF field produced by a cell phone that comes into physical contact with the human body is HEAT. We’ve always known this and as we always have done; we didn’t pay too much attention to this. The benefits of cell phones far outweighed any risks posed by a little heat emitted by such a tiny, little, innocent and adorable diode, so we let it slide. The second of these is something we are just beginning to learn about; it’s called the Brain-Blood-Barrier (BBB). You may have heard the term already, it’s just starting to be used in the mainstream. The BBB is a part of the human body’s defense system and from the little we’ve learned so far, it’s remarkable. For starters, it is, just as its name implies; a barrier surrounding the brain composed of blood. The BBB is the brain’s private guard against illness and even injury. It is an amorphous and mysterious area that can be found just under the cranium and surrounding the brain itself. It can spread itself out or if need be concentrate and focus in one area to combat a bacteria a virus and possibly even physical trauma. There is a lot that we don’t know about the BBB yet. Among the few things that we DO know about it is that it has a weakness; an Achilles’ heel, so to speak: HEAT. It is an established clinical fact that when exposed to an external source of HEAT with a temperature of 100 degrees Fahrenheit or above, the BBB becomes permeable. To get a better understanding of what this means, picture an umbrella made of gauze: it wouldn’t be a very good umbrella at all. The permeability of the BBB at 100ͦ degrees Fahrenheit can be compared to an umbrella made of gauze; things can “slip through” and affect the brain, including carcinogens. This is also the cause of things like heatstroke. Remember, the human body’s normal operating temperature is 98.6 which results in a very small gap to 100 degrees; perhaps this is why this fact escaped us for so long. We must also remember that the 100 degrees needs to come from an external source. The body’s thermodynamic regulatory mechanism can heat the human body up to 102 or even 103 degrees (called fever) in the course of fighting off infections and in rare cases has reached 105 degrees, a temperature at which brain tissue dies. These temperatures all caused by the body’s thermo-regulatory mechanism however, they are not from external sources. A cell phone can heat up to 102 degrees quickly and due to the fact that we hold it pressed against our ear(s), the HEAT does not have a big distance to cross before encountering the highly endothermic human brain and it’s heat-sensitive bodyguard; the BBB. Do you see the risk now? Perhaps you are wondering why the WHO issued a press release and included a possible Cancer warning in the monograph. That’s simple: there are 5.6 BILLION cell phones in use in 2012. The possibility is Cancer, but the risk is from HEAT and its effect on the BBB. Multiply that times 5.6 billion cell phones and you have the single biggest risk to ever affect humanity. If anyone thinks that the press release issued by the WHO was a bit dramatic or exaggerated, it wasn’t, in fact, the severity of the risk has been downplayed quite a bit and here’s where the risk becomes the issue. It’s utterly revolting to observe how no one has taken the issue seriously – at all. It is also disconcerting to see, every day, how easily anyone will discredit the World Health Organization. The WHO is not an independent lab or a private research company, it is the global entity comprised of the doctors that are charged with protecting the public heath, because WE demanded it. There is no higher authority on planet Earth when it comes to the health of human being than the WHO, there is no arguing that fact. Why are there so many news stories citing “independent studies” that allegedly prove the WHO is wrong? Independent studies? If anyone considered it necessary for any reason, anyone could find an “independent study” that irrefutably concludes that reading all of the independent studies on cell phones and cancer might give you cancer. At some point in what has become a global cat-fight over whether or not cell phones cause cancer, the point was lost and the point isn’t Cancer and it isn’t if cell phones are carcinogenic or not, the point is the RISK. In our blind race to have our opinion heard over all others, we forgot to pay attention, to a lot of things, starting with the fact that as of January 2012 there are approximately 5.6 BILLION cell phones functioning in the world (there were 5 BILLION in June of 2011). The mere possibility that a cell phone can negatively affect a person’s health makes cell phones the SINGLE BIGGEST DOCUMENTED RISK that the human race has ever had to face. What began as a responsible act by a responsible public organization has become an absurd and chaotic argument over a single peripheral aspect of a much larger problem that got out of control. Enough is enough. There no better example of the absurd and chaotic nature of the argument that got out of control than the very mechanisms and protocols that were allegedly established to protect us from the very damage that everyone is debating the validity of. In this case what is being referring to is something called SAR; Specific Absorption Rate. SAR is a measurement used in the regulation of the manufacturing of cell phones. The purpose of SAR is to establish a ceiling to the amount of heat that a cell phone can produce AND that can be absorbed by the human brain. Specific Absorption Rate? What does this mean? WHAT, exactly, is being absorbed and BY WHAT? Heat is what is being absorbed, by the human brain, that’s what a SAR measures; how much heat is absorbed by the brain, or is it how much heat is generated by the phone? Is all the heat from all phones absorbed by the brain or just some? How can the amount of anything that is absorbed by the brain be measured, especially heat? How would one measure the heat and how? How does one get around the highly inconvenient fact that any attempt to directly measure how much heat a brain is absorbing would kill a person (which is probably why they use computer models). Manufacturing regulations around the world state that no one can make a cell phone with an SAR of more than 3w/kg. – Hold on one minute – Does that mean that someone is trying to establish that there exists such a thing as a range of “safe heat” that can be absorbed by the brain? That is absurd. There IS NO Safe Heat when it comes to the brain, the only acceptable SAR is 0, so the question is posed: What purpose does it serve? The existence, application and continued use of SAR for cell phones is absurd, insulting and highly dangerous. Just think for a minute: if the scientific community had used the same logic that was used to come up with SAR for other things that emit heat, then we wouldn’t have ovens in our kitchens, we’d have a law establishing that the SAR for an oven is 101 degrees and that no oven could heat to a higher temperature because it would be dangerous to human tissue. Similarly, the same mentality would have prevented us from going into space, splitting the atom and a host of other scientific advances. If we would have given up in the face of other types of heat, like we did with cell phone heat, it would speak poorly of our much acclaimed ingenuity. We found solutions to the risks posed to humans by many kinds of heat, even nuclear radiation, the most intense of all, but the best we could do with cell phone heat, which is at the bottom of the intensity chart, is to let it stop us cold? In the almost 40 years since the first cell phones made their appearance, why hasn’t anyone found a solution to the risk posed by cell phone heat like we did with gamma radiation in outer space and nuclear radiation in atomic plants? Nobody knows why. It makes no sense and belies a score of dark possibilities. The absurdity and lack of seriousness that is seen in SAR inevitably had to lead to consequences, and it did; obscene consequences. From the looks of it, the business community surmised that if regulatory authorities could do something like SAR then it had to be okay to do something obscene. Below is a list of ACTUAL products that one can buy from real companies who, incredibly, actually sell them. This is not a joke or an attempt at humor, these are real companies promoting and selling these products on real websites. There are 13 products on this list; if there was a product picture on the product’s site, you will see it below the product’s name on the list, additionally a hyperlink to the products live website can be found below its picture. Not only do NONE of these products address the actual risk as posed by the W.H.O., all of them either address some other aspect of a cell phones function that has nothing to do with the only risk that has ever existed: HEAT, or they simply make up other risks. Why do they do this and how can they get away with it? They do it because we (the public) keep BUYING this stuff. For years, the “fear” market has sprouted companies that made money by injecting a dose of hype to an urban myth and convincing the fearful, paranoid or obsessive-compulsive to part with their money. They get away with it because technically these companies are doing nothing wrong – the products listed here and those others that one may find all address a concern and the claim to overcome it – the problem is that none of them address the actual risk: HEAT, and as such, technically they are “other” types of products. 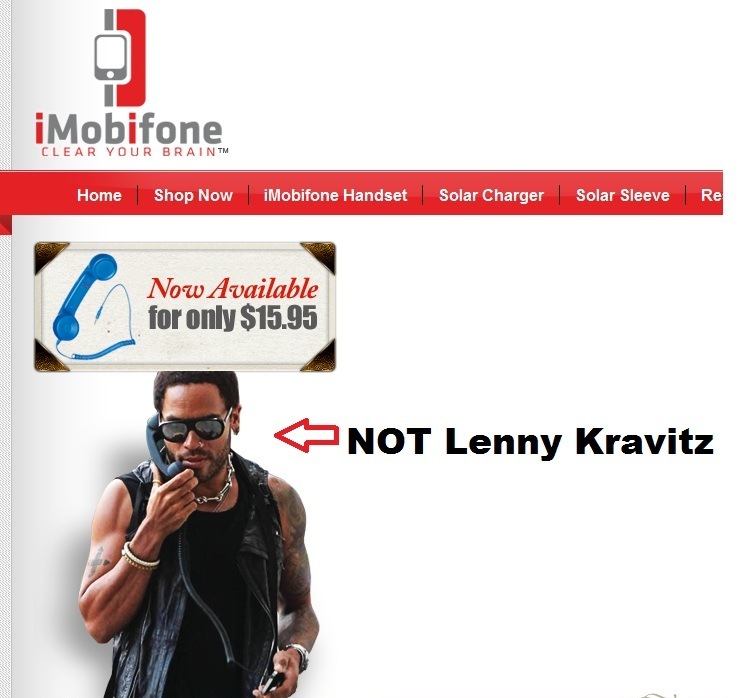 The only product on this list that offers real and legitimate protection from the HEAT emitted by cell phones is the last one – and you will see why, shortly. It appears that nobody has taken this issue seriously – at all. Let’s look at those products. 1. 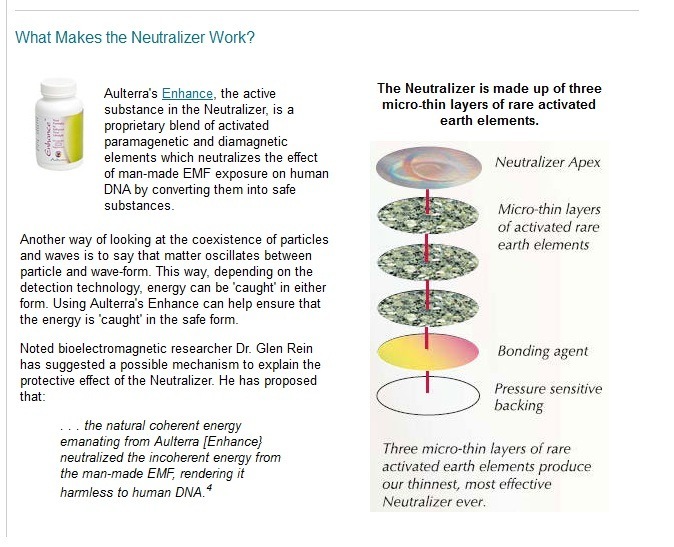 An herbal supplement in pill form that neutralizes the harmful effects to human DNA of RF/EMF exposure. (Who brought DNA into the picture?) Apparently this is only for protecting fetuses, since they display the results of “in vitro” studies and nothing else on their website. The question is: How do you get the fetus to take the pill? 2. 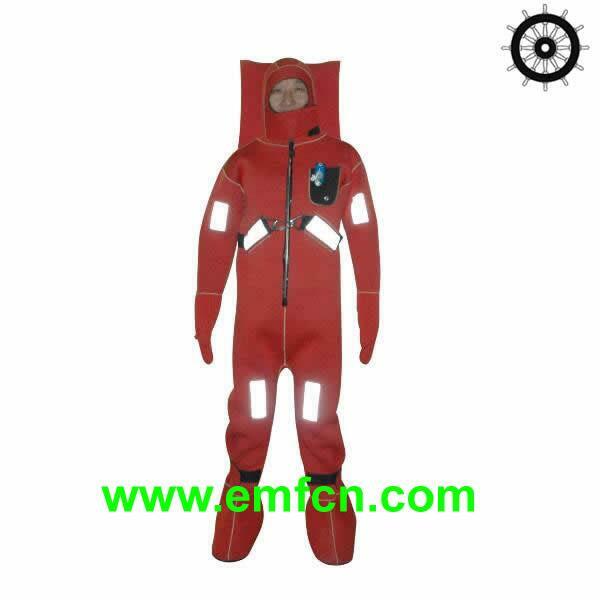 Silver lined underwear, clothing, face shields and full-body anti EMF Ziploc bag from the EMF superstore. 3. 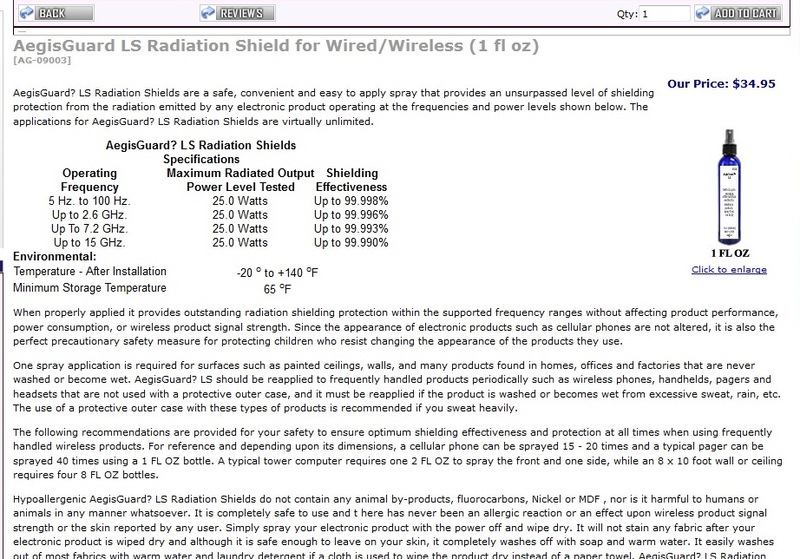 An aerosol spray that protects you from EMF radiation. You read correctly: an AEROSOL SPRAY. They don’t say how an aerosol spray can accomplish this, but they will sell you a bottle for $34.95. 4. 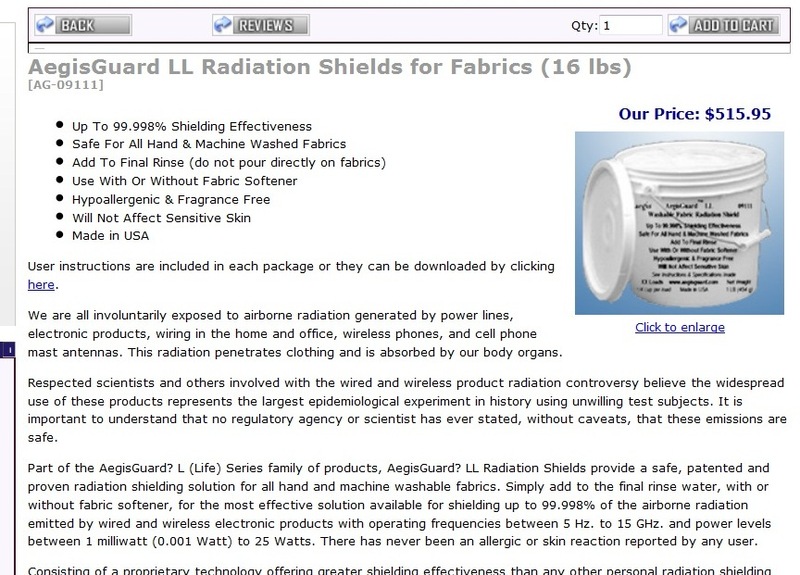 A laundry detergent – once again: A LAUNDRY DETERGENT ($515.95) that apparently makes your clothes impervious to EMF radiation? 5. 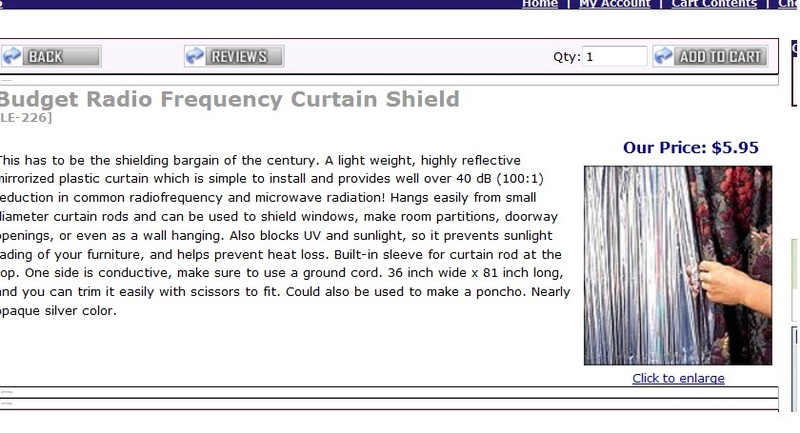 A kind of aluminum foil curtain – CURTAIN that you put up when you are going to use your cell phone. 6. A fabric style SHIELD that you can cut into different shapes and attach with VELCRO. Basically, you can Velcro a piece of cloth to your head. There was no picture on this site. 8. 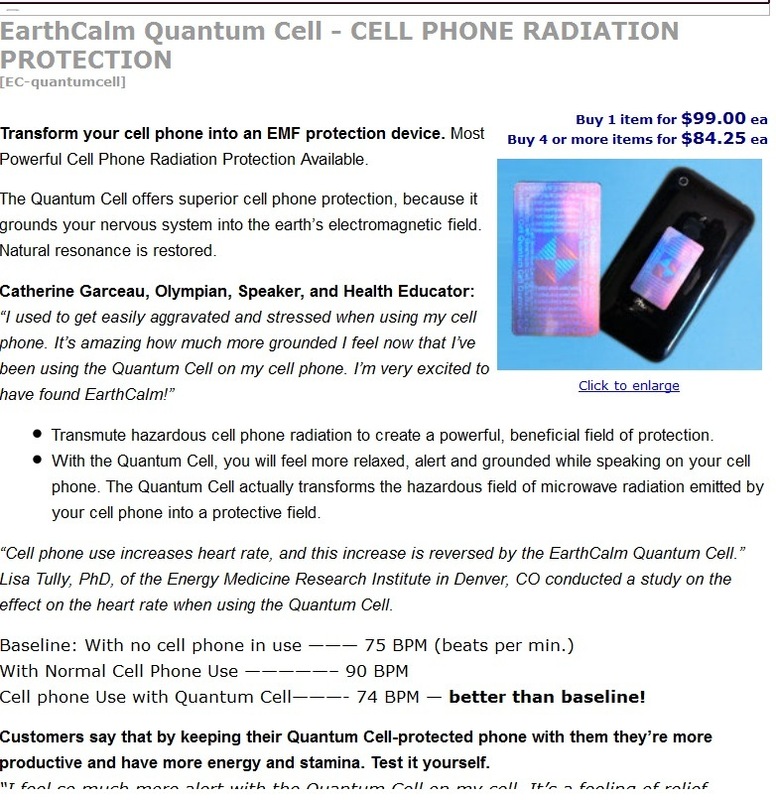 A “quantum sticker” that transforms a cell phone into a cell phone radiation protection device by transmuting into a device that protects itself from…..itself? Doesn’t that sort of defeat the purpose? The wording in this ad is truly incredible. 9. 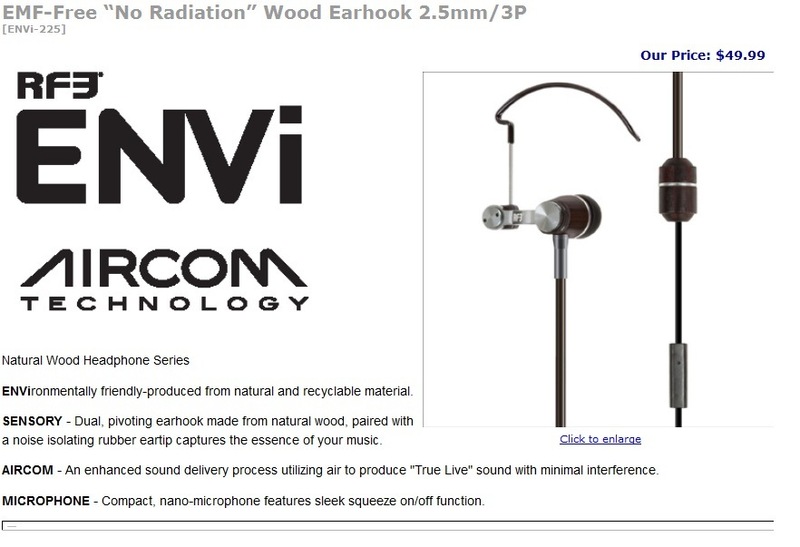 Wood Headset, yes, Wood. Do you need to know anything else? 10. 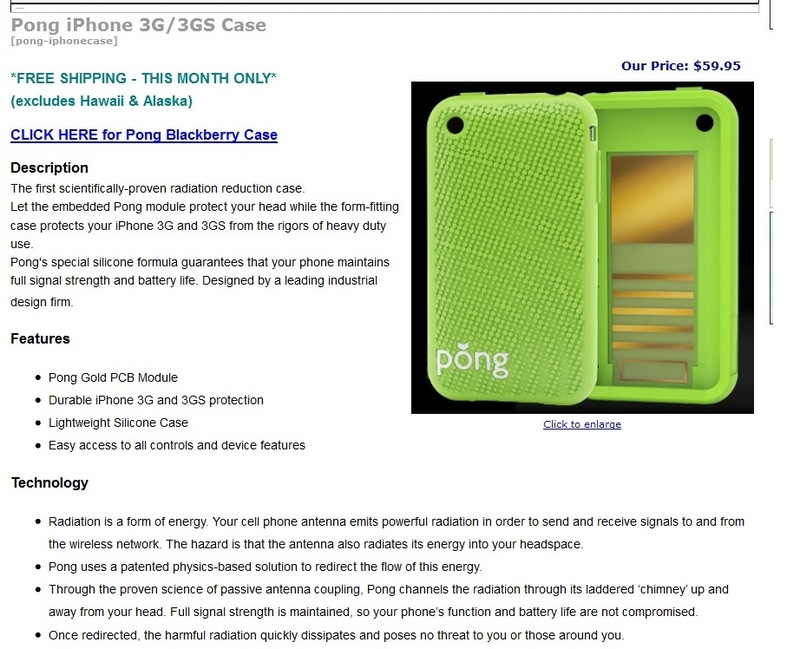 An enclosed case for your phone that provides 100% protection from EMF radiation. 13. These need no introduction. 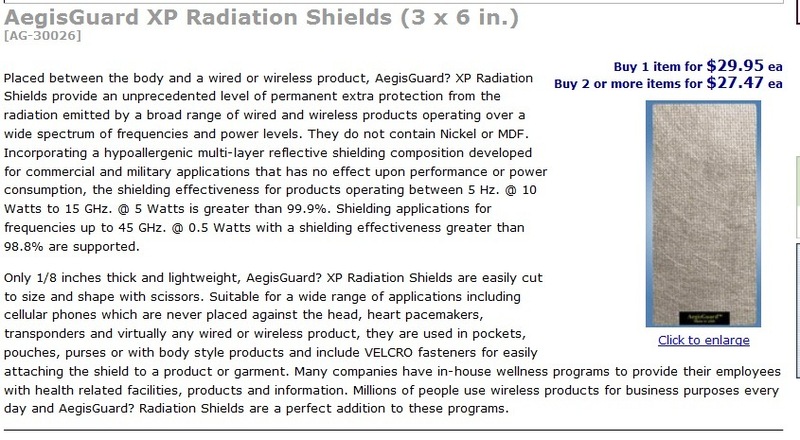 Straight up: 100% guaranteed RF EMF protection for humans! You can take home the one on the left for just under $1,000.00 and the red one is a cool $10,000.00. In early 2012; the Cell-Repel™ will be available to the general public. 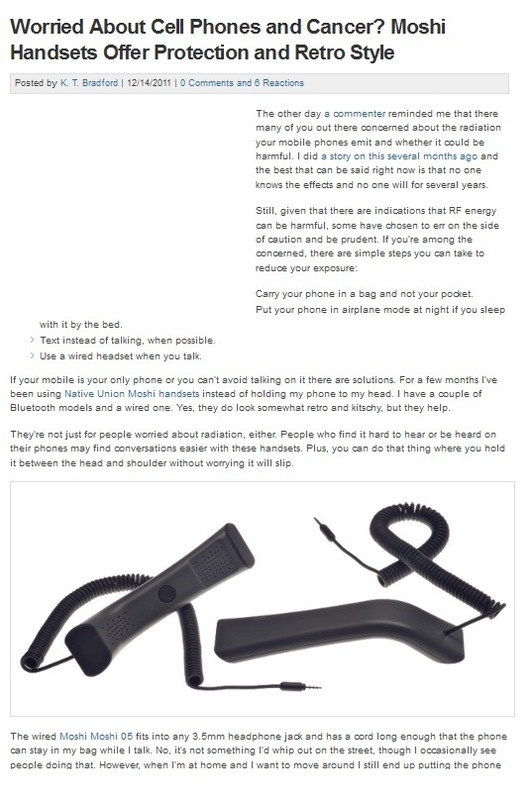 The Cell-Repel™ is, simply put, the first and only true solution to the risk posed by the heat emitted by a cell phone when used by a person. The Cell-Repel™ uses science; in this case, Medicine, Physics, Quantum Physics, Thermodynamics, Chemistry, Organic Chemistry and Spatial Mathematics to help it do what it does. In developing the Cell-Repel™, the facts were focused on instead of the fiction; the science instead of the scandal and a solution was found. It’s simple and elegant and thanks to the magnanimous mismanagement of the issue up until now, there is only confusion and doubt about cell phones. That doesn’t change the fact that there IS a real solution that eliminates the risk, it only creates the responsibility of explaining it to everyone. The fact that a legitimate solution to the risk was developed makes its implementation an obligation. The same applies to everyone. So let’s see if we can defuse the issue and clean up some of the mess others have already made and maybe, together, we can scratch something off of the list of the things that give us Cancer, for the first time in history. The Cell-Repel™ is a marvel of simplicity from a design point of view and a true wonder in its functioning. There will be questions, however, there must be; there have been nothing but lies and misdirection when it comes to cell phones and health since the beginning. In the face of aerosol sprays and quantum thingies it is natural to ask “how does it work?” It can be hard to get past the sour taste left by the phony gimmicks so here are a couple of straightforward explanations that should help. Physics and more specifically Quantum Physics played a great role in the design of the Cell-Repel™ as it has with many of the other solutions to other issues in dealing with heat. In the case of the Cell-Repel™; the quantum approach of simplicity held the key. In essence; here’s the formula: If what is being absorbed is HEAT and it is being absorbed by the BRAIN from a radiation source outside of the HEAD, then the simplest solution is to MOVE THE POINT OF ABSORPTION. In other words, use something that can absorb the heat from a cell phone BEFORE it can reach the brain by placing it between the radiation source and the brain. This also answers a big question many people have, namely: “Why can it be something that goes on the phone?” It can’t go on the phone; that’s the heat source; it has to be between the cell phone and the brain for the physics to work. The red dot represents the point of absorption of a cell phone’s heat. Under normal circumstances, with nothing in the way, the heat is absorbed by the brain, which is highly endothermic. When a person puts on a Cell-Repel™, they are intentionally moving the point of absorption to the Cell-Repel™, where a cell phone’s heat is completely absorbed by the endothermic components of the Cell-Repel™. By moving the point of absorption from the brain to the Cell-Repel™, there is no heat left to enter the head and be absorbed by the brain. If you get rid of the HEAT, you get rid of the RISK. Yes, it is that simple. Here’s another way to look at it. The Cell-Repel™ is a Human tissue radiofrequency electromagnetic field radiation absorption inhibitor. It inhibits (prevents) the absorption of RF EMF radiation (the HEAT emitted by your cell phone) by human tissue (specifically, the brain). It accomplishes this by absorbing all of the heat emitted by your cell phone, leaving none to continue into the human head. 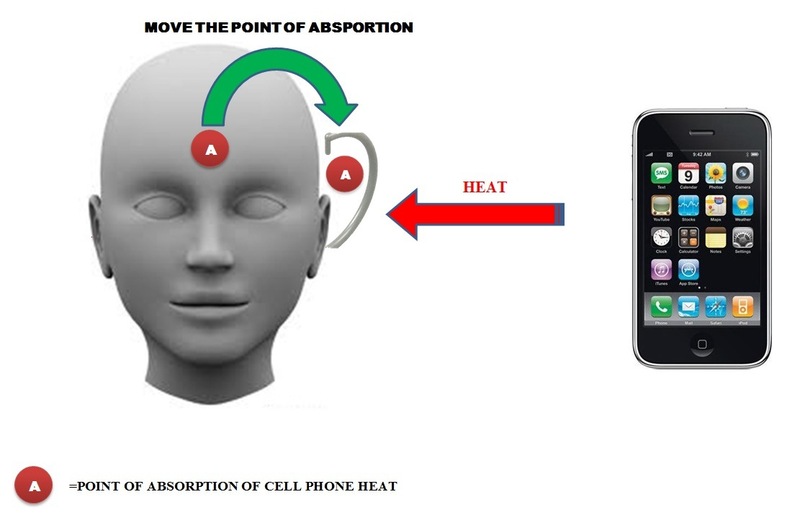 The Cell-Repel™ absorbs the heat from your cell phone through a process called endothermic absorption. It doesn’t prevent the brain’s absorption of cell phone heat by some outrageous transmutation of quantum energy or by “blocking” the EMF, it prevents the brain from absorbing the heat because it’s in the way of the heat and happens to made out endothermic components. THAT is applied quantum physics! 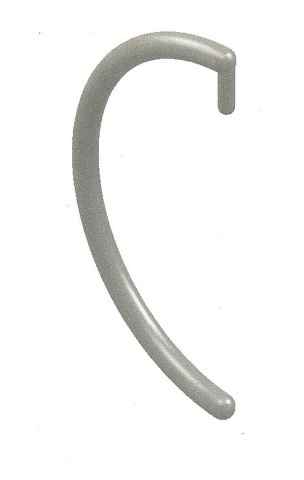 The image below is what can be called a Human tissue solar radiation absorption inhibitor. 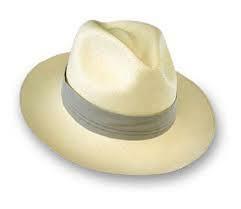 It prevents the human scalp from absorbing some of the heat from the Sun. It’s been around in one form or another– always! Finally, the next image is what can be called a Human tissue cooking-related radiation absorption inhibitor. 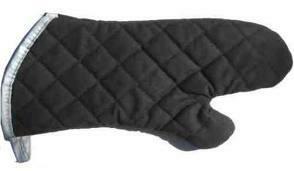 It prevents your hand from absorbing the heat generated by your oven (be it electric or gas or wood) by using endothermic components to absorb the heat before your skin does. This is a pristine example of pure applied Thermodynamics! Are you beginning to get the picture? When it comes to the risk to human health posed by cell phones, the electromagnetic fields that they produce are not an “enemy” that needs to be attacked or deflected or controlled or blocked; in fact without them, Cell Phones wouldn’t work. It is the HEAT produced by these fields that poses a risk to human health. We humans have a lot of experience in dealing with heat and its effect on our bodies and over the years, our scientists have devised a multitude of ways to manage the different types of heat that we are exposed to on a daily basis and how to protect ourselves from it. It took seven (7) different sciences to develop the Cell-Repel™ and thanks to those efforts we will be soon be free of the risk posed by cell phones without changing the way we live, without the science-fiction stories and without getting rid of our cell phones! As far as SAR is concerned, the scientific community wasn’t involved with its development yet it is an embarrassing thing for which an apology is merited but none will be offered, so for what it’s worth, as fellow human beings; those of us who worked to develop the Cell-Repel™ apologize for SAR and remedy it by virtue of the Cell-Repel™: the solution to the risk posed by cell-phones. Because you shouldn’t have to risk your life to live; you should be able to live your life without risk! Hi, nice post, you opened my eyes. I want to buy for all my family, where can I get one ? Thank you for the detail explanation. Thank you for your comment! Just go to http://www.cellrepel.com and click on GET ONE NOW! I was browsing for content material relevant to the subject. I located CAN MY CELL PHONE REALLY GIVE ME CANCER? The Cell-Repel Blog right here. You have introduced your ideas really nicely. The knowledge is specifically what is was browsing for. I should hyperlink back to https://cellrepel.wordpress.com/2012/02/04/can-my-cell-phone-really-give-me-cancer/ in context in my upcoming article. Thanks . My brother suggested I may like this website. He used to be entirely right. This submit actually made my day. You cann’t consider simply how so much time I had spent for this information! Thanks! My spouse and i ended up being excited Peter could complete his web research using the precious recommendations he discovered using your web pages. It’s not at all simplistic to just continually be freely giving guidance that most people might have been selling. We really fully grasp we have the website owner to give thanks to for this. The main illustrations you’ve made, the easy blog menu, the relationships you will help create – it’s got everything amazing, and it’s really facilitating our son in addition to our family understand this subject is awesome, and that’s incredibly serious. Thank you for the whole thing! Very good written post. It will be valuable to anyone who usess it, as well as myself. Keep up the good work – can’r wait to read more posts. Simply want to say your article is as astounding. The clarity in your post is just excellent and i can assume you are an expert on this subject. Well with your permission allow me to grab your feed to keep updated with forthcoming post. Thanks a million and please continue the gratifying work. I simply want to tell you that I am beginner to blogging and certainly liked this website. Likely I’m going to bookmark your blog post . You definitely come with amazing well written articles. Kudos for revealing your webpage. I simply want to mention I am just very new to blogs and truly savored your blog site. Most likely I’m planning to bookmark your blog . You amazingly have exceptional stories. With thanks for sharing your website page. whoah this blog is magnificent i like reading your posts. Stay up the good work! You already know, many people are looking round for this info, you could help them greatly. Wohh exactly what I was searching for, regards for posting . “Study men, not historians.” by Harry S Truman. An impressive share, I simply given this onto a colleague who was doing just a little analysis on this. And he the truth is bought me breakfast as a result of I discovered it for him.. smile. So let me reword that: Thnx for the treat! But yeah Thnkx for spending the time to discuss this, I feel strongly about it and love studying extra on this topic. If attainable, as you develop into experience, would you mind updating your weblog with extra details? It is extremely helpful for me. Large thumb up for this weblog submit! This is the fitting weblog for anyone who needs to search out out about this topic. You understand so much its virtually exhausting to argue with you (not that I really would want…HaHa). You positively put a new spin on a subject thats been written about for years. Great stuff, just nice! Really nice style and design and fantastic content material , hardly anything else we require : D.
Hello my friend! I want to say that this post is awesome, great written and come with approximately all vital infos. I’d like to look extra posts like this. Outstanding post, I think blog owners should larn a lot from this web blog its real user genial. So much great info on here :D.
I believe this web site holds some very great info for everyone. “I prefer the wicked rather than the foolish. The wicked sometimes rest.” by Alexandre Dumas. I was very happy to seek out this net-site.I wished to thanks in your time for this wonderful learn!! I undoubtedly having fun with every little bit of it and I have you bookmarked to take a look at new stuff you blog post. That is the proper weblog for anyone who wants to find out about this topic. You notice a lot its nearly laborious to argue with you (not that I really would want…HaHa). You positively put a new spin on a topic thats been written about for years. Great stuff, simply great! Everyone loves what you guys tend to be up too. This sort of clever work and reporting! Keep up the fantastic works guys I’ve included you guys to our blogroll. Good day webmaster, commenters and everybody else !!! The site was totally awesome! Lots of fantastic information and inspiration, both of which we all want!b Keep â€em comingâ€¦ all of you’ll be able to like a great job with such Conceptsâ€¦ canâ€™t let you know just how considerably I, for just 1 appreciate all you decide to do. Its like you read my thoughts! You appear to understand a lot about this, like you wrote the e book in it or something. I believe that you simply can do with a few percent to power the message home a bit, however other than that, that is great blog. A fantastic read. I will definitely be back. The fourth point of clarification. The third point of clarification. The second point of clarification.